Temperatures are rising and forest fires, already larger and more frequent than the historical norm, are projected to increase dramatically with anthropogenic warming. The way humans have used land in the Sierra has had more effect on fire behavior than climate change. That’s the general consensus among scientists studying the relationship between fire activity and climate change in the Sierra Nevada. But a study released last week found an influence on past fire activity even greater than climate: human beings. Since 1600, the way humans have used land in the Sierra has had more effect on fire behavior than climate change, said Valerie Trouet, associate professor of dendrochronology at the University of Arizona and lead coauthor of the study, published November 14 by the Proceedings of the National Academy of Sciences. This conclusion has profound implications for the future, when higher temperatures are predicted to intensify fire activity in California. Average annual temperatures in the western United States have already risen by 1.9F (1.1C) since 1970. With every increase of 1.8F (1C), the area burned annually in the Sierra Nevada is projected to increase by as much as 300 percent, according to research by the Union of Concerned Scientists. The study about humans and fire, coauthored by Alan H. Taylor of Penn State, suggests that land managers and owners can affect fire behavior through activities that make forests more resilient. “By changing land use, we can at least buffer some of the effects of climate change,” Trouet said. The most useful tool to do that is fire itself, said Craig Thomas, conservation director for Sierra Forest Legacy, a coalition focused on Sierra Nevada national forest issues. Using controlled fires to burn ground litter and small trees breaks the fuel continuity from the surface to the crowns of trees, where fire is more difficult to control. 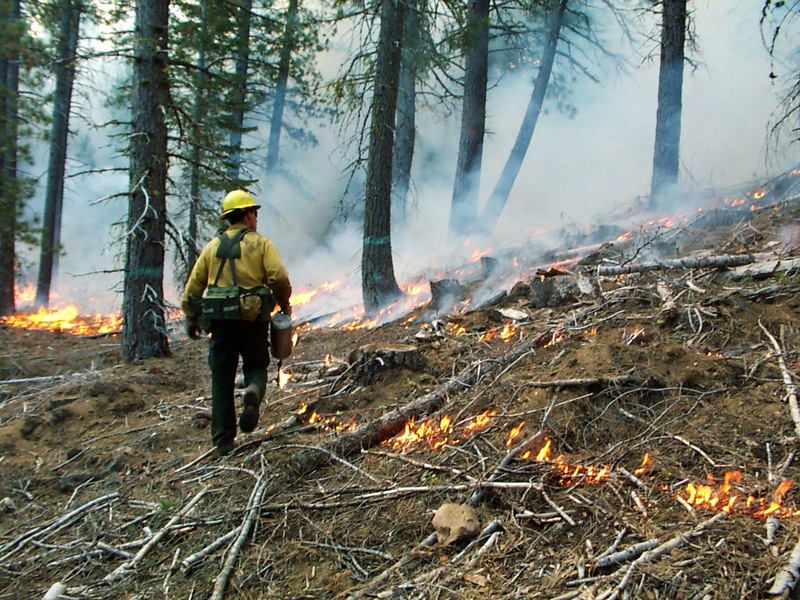 “If we take the advice of this paper, we are going to build a real fire program with crews dedicated to lighting managed fires across many different land ownerships,” said Thomas, cochair of a statewide multiparty partnership dedicated to increasing the use of fire to benefit natural resources. The importance of human-fire interactions in the Sierra surprised Trouet, Taylor and their coauthors: Carl N. Skinner of the U.S. Forest Service in Redding and Scott L. Stephens of the University of California, Berkeley. They set out to determine which climatic cycles – the El Niño/La Niña cycle or the longer Pacific Decadal Oscillation – have governed the fire regime in California’s Sierra Nevada. The team used the fire history recorded in tree rings from 29 sites in the Sierra Nevada. They combined these with 20th-century records of annual areas burned, resulting in a fire index that spans from 1600 to last year. The scientists plotted this 415-year history against past environmental records of temperature and moisture. They expected the fire index to roughly follow the pattern of summer temperatures: a gradual rise with a sharp increase starting around 1980. Instead, they found four periods, each around 55 years long, when the frequency and extent of forest fires clearly differed from the time interlude before or after. That led them to take a closer look at human activity over the entire era since 1600, focusing on whether human land use affected the amount of fuel available for fires. The earliest period in their study was a time when Native Americans used sophisticated burning techniques to improve hunting and prepare ground for agriculture. The result was a patchy network of burned areas that reduced the ground fuels, hindering the spread of fire, said Trouet. The fire index nearly doubled with the transition to the Spanish-Mexican period (1769–1847). Once Spanish missionaries arrived, Native American populations declined precipitously. Half the native population in California estimated in 1769 had disappeared by 1845, the study states. Disease and death brought an end to the mosaic of burned and unburned areas Native Americans had created. During the mission era fuels built up, exacerbated by the Spanish government’s ban on the use of fire. Fires grew larger and more frequent. This is the period where the study finds the closest correlation between fire activity and climate. The California Gold Rush introduced another dramatic change in Sierra Nevada fires. It wasn’t the miners themselves but the enormous influx of people, beginning in 1848, that reduced fire activity. The new settlers brought sheep and cattle, which grazed on the grasses and other plants that would normally have been fuel for forest fires. These changes in human land use triggered a shift to lower fire activity that continued to 1904, when the U.S. government established a fire suppression policy on federal lands. Under the regime of “Smokey Bear,” fire activity dropped to its lowest level since 1600. Aided by sparse fuels and, after World War II, more sophisticated fire detection and suppression techniques, fire activity remained well below what the study’s scientists predicted into the late 1970s. That began to change in 1980. As the climate continued to warm, fire frequency increased once again. A century of accumulated forest fuels contributed to fire seasons that are now 78 days longer than in the 1970s, and an acreage of burned area that is expected to double by 2050. This trend is not expected to abate, said Trouet. “We know the climate is changing. It already has a strong influence on fire activity and will continue to,” she said. Fires of the past were mostly surface fires. “Today we see more canopy-killing fires,” he said. Despite the near-certain future of rising temperatures and increased fire activity, the study’s strong evidence of humans’ effects on fire behavior offers opportunities to change the type and intensity of future burns, said Trouet. Land managers are increasing their use of prescribed burns as agency officials and the general public understand their importance. But 150 years of low activity and suppression have left an enormous fire deficit, said Thomas. 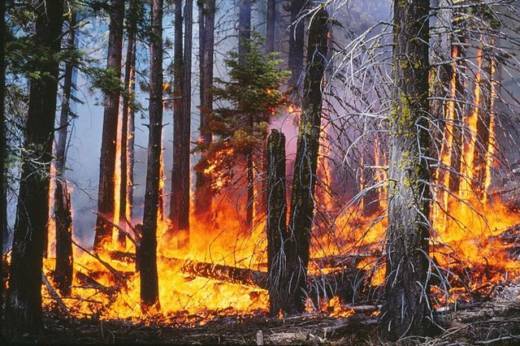 To maintain healthy forests, where flames char trees without widespread destruction, Sierra Nevada land managers need to burn 500,000 acres (200,000 hectares) every year, he said. Current managed ignitions total less than 40,000 acres (16,000 hectares) through California, Thomas said. “We desperately need to burn tens of thousands of acres on every forest in the Sierra Nevada – every year,” he said. Rising temperatures are already “locked in,” said Trouet, and there is not much we can do about that for a number of decades. But by deepening our understanding of how humans affect fire regimes we can reach beyond suppression toward a sustainable system of fire management. “That is the foundation for the development of effective strategies to address the amplified fire effects expected with a warming climate,” she said.